Yesterday’s article provided some context to the Welsh Government’s draft Welsh language strategy, and insight into the Culture, Welsh Language and Communications Committee Report on the Welsh Government’s proposals. It also looked at key aspects of the Welsh Government’s Final Strategy – Cymraeg 2050 (PDF, 2.79MB). A little over a year ago on the ‘Maes’ at the National Eisteddfod in Abergavenny, the First Minister and the Minister for Lifelong Learning and Welsh Language launched a consultation on the Welsh Government’s draft new Welsh Language Strategy. The consultation ended on 31st October 2016. The previous strategy, A living language: a language for living 2012-2017 (PDF 800KB) officially came to an end on 31 March 2017. In the first part of this article, we looked at the main proposals in the Welsh Government’s White Paper – Striking the right balance: proposals for a Welsh Language Bill (PDF, 870KB). This part of the article looks at some of the finer details within the consultation document. This article is in two parts, with the first part setting the context and providing an overview of the Welsh Government’s main proposals for a Welsh Language Bill. The second part, to be published this afternoon, will provide more detail on the Government’s proposals. This briefing provides an overview of Welsh-medium and bilingual provision in the Further and Higher Education sectors in Wales. It explains the policy context and identifies key institutions and initiatives. The paper also gives statistics on the number of Welsh-medium and bilingual learning activities in these sectors and the number of learners studying through Welsh or bilingually. The Welsh Government has a target of one million Welsh speakers by 2050 and sees education and linguistic progression as one of the main ways to achieve this, as stated in its new Welsh Language Strategy. The report of the Welsh Government task and finish group on the future of the Coleg Cymraeg Cenedlaethol is due to be published soon. How effective are Welsh in Education Strategic Plans? This article was originally posted on 17 February 2016 but has been updated following the publication of Estyn’s report on local authority Welsh in Education Strategic Plans. In February 2016, Assembly Members debated how effective Welsh in Education Strategic Plans (WESPs) have been in supporting the Welsh Government’s local and national ambitions for Welsh-medium education. The debate in Plenary followed the publication of a report by the Fourth Assembly’s Children, Young People and Education Committee (PDF 1.53MB) in December 2015 and the Welsh Government’s response (PDF 293KB), published 17 February 2016. What are Welsh in Education Strategic Plans (WESPS)? Progress made to meet the targets contained in the previous plan or previous revised plan. Integral to these plans is the local authority’s assessment of the demand for Welsh-medium education in its area, and what steps it will take to meet it. The Assembly’s scrutiny role is to examine the performance of the Welsh Government, rather than local authorities. The Children, Young People and Education Committee therefore looked specifically at the Welsh Government’s decision to require local authorities to produce and publish WESPs and whether this approach means that national ambitions and targets for Welsh-medium education are more likely to be delivered. What are the Welsh Government’s targets for Welsh-medium education? contribute to the acquisition and reinforcement of Welsh-language skills in families and in the community. More learners with improved skills in Welsh. The guidelines also required local authorities to report progress on: standards of attainment in Welsh and Welsh Second Language; Welsh-medium provision for learners with additional learning needs; workforce planning and continuing professional development. The Welsh in Education Strategic Plans and assessing Demand for Welsh Medium Education (Wales) Regulations 2013 also sets out a list of matters which must be dealt with within a WESP. What exactly did the Children, Young People and Education Committee look into? Whether the outcomes of WESPs deliver equal outcomes for all pupils (for example primary/secondary pupils; children from low income households). What did the Children, Young People and Education Committee find? An example of one of these targets is set out in the following infographic from the Committee’s report which sets out the targets for seven year olds being taught through the medium of Welsh alongside data on the percentage change by local authority between 2010-2014. What was the previous Welsh Government’s response to the Committee’s 17 recommendations? It accepted 6 recommendations, accepted a further 6 ‘in principle’ and rejected 5. You can watch the debate on Senedd TV. It is the Welsh Government’s policy that all pupils should study Welsh from ages 3-16, either first or second language. However, there is no legal duty on local authorities to provide Welsh-medium education. Local authorities must have regard to the general principle that pupils are to be educated in accordance with the wishes of their parents so far as that is compatible with the provision of efficient instruction and training and the avoidance of unreasonable public expenditure. The Research Briefing explains this in more detail. Local authorities are also under a legal duty to assess the demand for Welsh-medium education in their area through their Welsh in Education Strategic Plans (WESPs). Schools can also be categorised according to the definitions contained in 2007 Welsh Government guidance, but these categories have no basis in legislation. 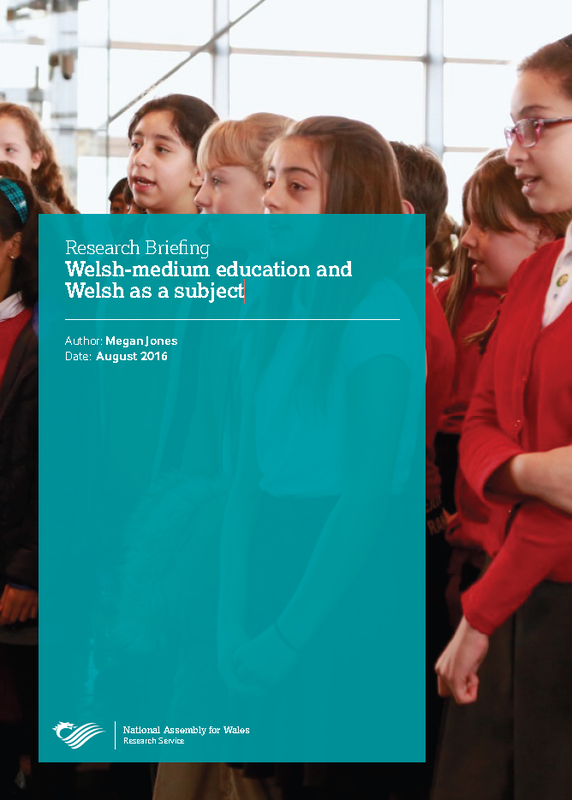 There are 391 Welsh-medium primary schools in Wales, alongside 39 dual stream schools, 33 English schools with significant use of Welsh, and 862 English-medium schools. There are 23 Welsh-medium secondary schools, 27 bilingual schools, 9 English schools with significant use of Welsh, and 148 English-medium secondary schools. The Welsh Government’s 2010 Welsh-medium Education Strategy sets out six strategic aims. It also includes five-year and ten-year indicative targets, for example a target for increasing the number of seven-year-old children being taught through the medium of Welsh. The Welsh Government publishes Annual Reports on progress made against the aims set out in its strategy. Under the School Standards and Organisation (Wales) Act 2013, local authorities are required to produce a three-year Welsh in Education Strategic Plan (WESP) and submit it to Welsh Ministers for approval. These plans should include an assessment of the demand for Welsh-medium education; details of the local authority’s targets and its plans to improve the planning and standards of provision. Following the Assembly election in May 2016, and the allocation of roles within the Welsh Government’s Cabinet, responsibility for the Welsh language has moved from the First Minister, Carwyn Jones, to Alun Davies. In a statement on 12 July 2016, the new Minister for Lifelong Learning and Welsh Language, Alun Davies, set out his priorities for the Welsh language over the coming year. He said he was ‘keen to revisit the process of planning for Welsh-medium education’ to ensure ‘concrete and timely action’ leading to the growth of Welsh-medium education. The Minister said he was also committed to implementing the priorities set out by the Welsh Government in March 2016 on the ‘next steps’ for the Welsh-medium education strategy.